Baldwin County Alabama is located along the shores of the Gulf of Mexico and Mobile Bay, bordered on the West by Mobile County, AL, Located in the North of Baldwin County you can be sure to find a wide variety of recreational activities from their parks to waterways there is something for everyone to enjoy. 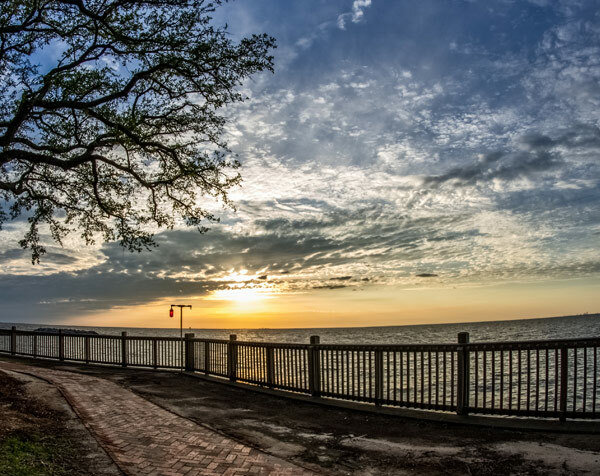 Located on the Eastern Shores of Mobile Bay, you won’t have to go far to find countless opportunities for taking in the beauty of the area while fishing, boating, hunting,, catching a spectacular sunset of the bay, dining out on fresh local seafood, or enjoying an extraordinary shopping experience. Located on the shores of the Gulf of Mexico, Baldwin County offers miles of sugar-white sand beaches and access to the interior bays and bayous lying just north of Perdido Pass. Baldwin County welcomes you to a vibrant, progressive and friendly community in which to live and raise your family and establish and grow your business. Daphne, AL- The ‘Jubilee City’ bringing blue crabs, shrimp and fish into the shallow waters of the shoreline, just waiting to be scooped up by those waiting to fill their ice chests.